At Hines Little Smiles, we provide pediatric dentistry services, and we strive to create a fun, welcoming environment where children and families feel at ease. As your pediatric dentist in Columbus, we are committed to providing high-quality care and working with each child to help them have a healthy, happy smile. There are many benefits for your children when they see a dentist who specializes in pediatric dentistry. Our office is fun and colorful. We make sure to build a practice around kids and what they like. Our office is child-friendly. By taking your child to see a pediatric dentist, dental phobias are less likely to occur as the environment is created to be safe and comfortable for kids. What’s different about a pediatric dentist? Pediatric dentists are able to take care of the dental needs of infants, toddlers, elementary age children, and teenagers. Pediatric dentists take an extra two or three years of training after dental school. Along with dental training specifically about children’s oral health, pediatric dentists also study child psychology. This enables the professionals at our office to create an environment that is gentle and non-threatening for kids. Pediatric dentistry is one of nine specialty areas that is recognized by the American Dental Association. Hines Little Smiles works with kids each day. This gives us the expertise to handle situations that arise when children become scared or have difficulties with dental procedures. We can provide individualized, specialized care as we are trained and experienced in working with children. When should children start seeing a pediatric dentist? The American Academy of Pediatric Dentistry recommends that children go for their first appointment before they turn one, or about six months after their first primary tooth comes in. By taking your child in to the dentist at an early age, preventive care can begin. Also, children will become more accustomed to the dentist and be less stressed if they are use to regular appointments from such a young age. To ask questions about issues you’ve noticed with your child’s dental health. To help foster a kid-centered, oral health routine at home. To see if your child is at risk for cavities. To receive preventive treatments such as fluoride. To receive care and information on how your child’s teeth and jaw are growing. 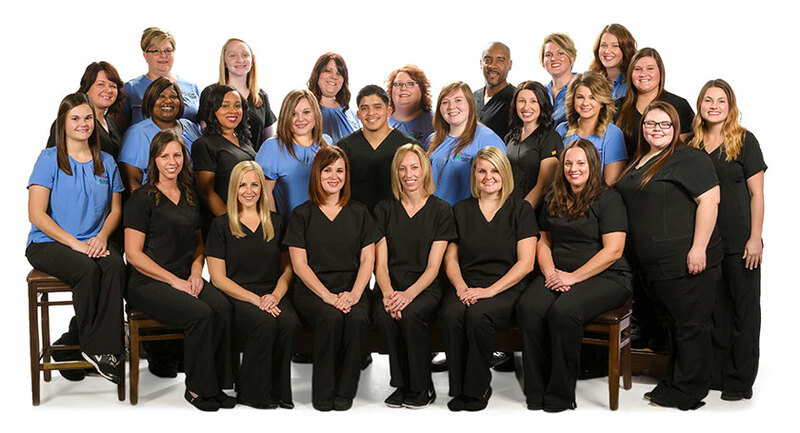 Our staff is happy to help schedule an appointment time that works well with your schedule. Come see what sets our pediatric practice apart!